Just make sure you have some good balsamic for the marinade and heat it on the grill enough for it to get that charred grilled flavor. Impress your guests at your next grill out and they won’t remember that you had a vegetarian barbecue! I love this grill as it’s small but still gets things done. Just make sure you have some good balsamic for the marinade and heat it on the grill enough for it to get that charred grilled flavor. Impress your guests at your next grill out and they won’t remember that you had a vegetarian barbecue! Wash and wipe the mushrooms delicately. You can leave them in whole mushroom form or slice them into long piece. Combine the marinade ingredients in a large bowl and gently whisk in the olive oil. 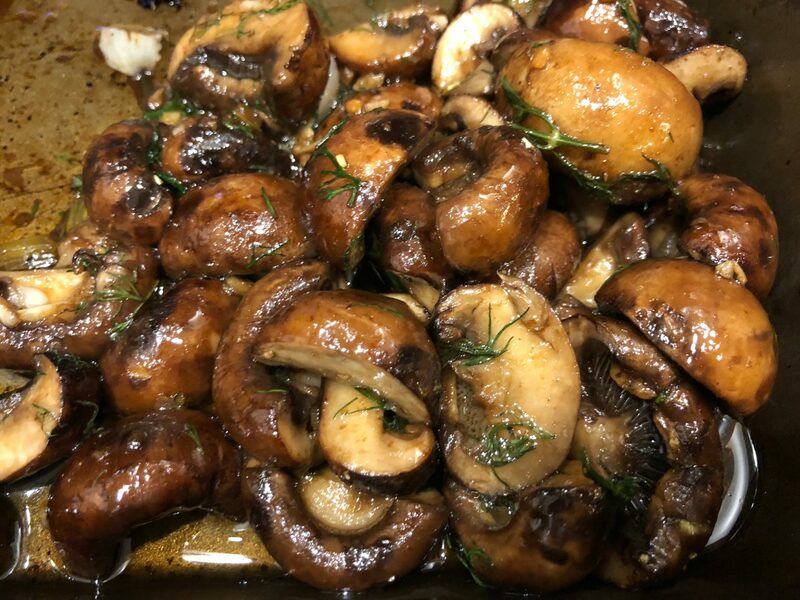 Put all of the ingredients in a ziplock bag and add in the mushrooms so it is coated with the marinade. Marinate for at least 30 minutes, but the longer, the better! If the mushrooms are sliced, it’s good to put them in a foil boat because the mushrooms can fall through the grill. Grill each side for about 5 minutes until charred (you can baste it with olive oil if you like it moist). Serve it hot for your guests and they will be impressed at the char-grilled flavor and thick texture.